TOKYO NATIONAL MUSEUM - Collections The TNM Collection Object List Engishiki (detailed rules of the Ritsuryo Code). 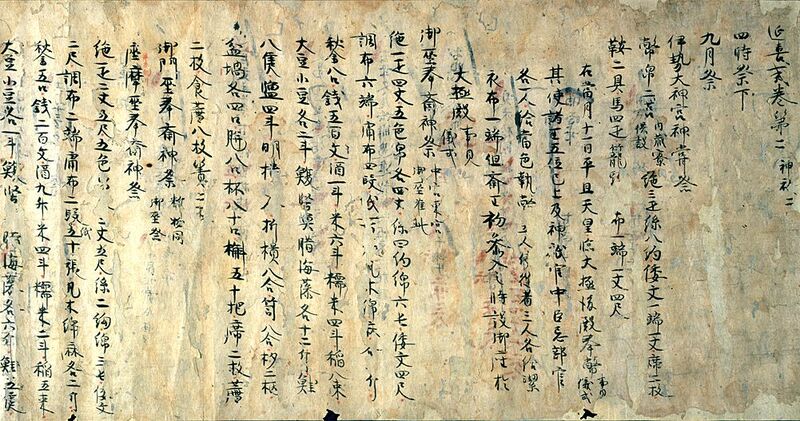 >> Engishiki (detailed rules of the Ritsuryo Code). 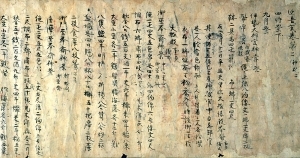 Engishiki (detailed rules of the Ritsuryo Code). Vol. 2:27.5x825.4, vol. 39:28.7x1080.2, vol. 42:33.6x575.1).